The Big Two in cycling components, Campagnolo and Shimano, have delivered us lots of great bike parts over the years. But now and then it all goes horribly wrong. Let’s take a look at some of their worst blunders. Widely considered one of the most beautiful bike parts ever made, these centre-pull brakes undeniably looked stunning. Unfortunately, that’s about where their good qualities ended. On paper, the idea was good: a centre-pull brake with the mechanism — a parallelogram of levers and pivots — hidden from the world by an aluminium cover. The Delta was part of perhaps the best-looking Campagnolo group ever made, 1986’s C-Record and the brakes were the jewel in the group’s crown, with meticulous polishing even in places where nobody would ever look. The first version was recalled because, depending on who you believe, the pads could fail from over-heating on long descents or the cable clamp could fail, leaving you with no braking at all. Subsequent versions solved that problem, but still didn’t stop mechanics complaining that the Deltas were hard to work on. The cable had to be long enough to reach the clamp, but no longer as there was nowhere for excess cable to go. The cable clamp used a 3.5mm hex key, a size you won’t find in many off-the-peg tool sets. Campagnolo included one with the brake, but if you lost it a replacement was hard to find, especially in 1980s America, where Imperial units still reigned supreme. The last incarnations used a 4mm hex bolt instead. This didn’t solve what some engineers saw as the brake’s fundamental flaw, that the mechanism inherently provided inconsistent braking power and as the pads wore you could end up with no braking at all. Jobst Brandt, author of ‘The Bicycle Wheel’ was a trenchant critic of the Delta brakes. Brandt had worked on brake design for Porsche and observed that “variable ratio brakes [are] known to be useless … It should be mechanically obvious that a regular-parallelogram when at extreme extended position (cable fully extended) has zero mechanical advantage and at the other extreme (the cable corners together) has an infinite mechanical advantage. This is not a logical range in which to operate a brake, nor is even a part of that range. They were also the heaviest brakes Campagnolo ever made, at 480g/pr. For comparison, a pair of 1981 Super Record brakes weighed 334g/pr, while a 2010 Super Record D Skeleton pair weighs 276g, almost half the Delta’s heft. Despite all this, the Deltas’ sheer beauty makes them some of the most sought-after bike parts ever made. Prices of around $700/pr for a set in mint condition aren’t unusual, and many owners seem to still be perfectly happy with them. I’ve only been able to skim the surface of the Delta story here. If you want to know more, take a look at this Italian article on them, with material gleaned from magazines and catalogues of the era; Retrogrouch’s article on the Deltas; Campagnolo fan site CampyOnly’s road test; and an amazing complete strip-down at Bikehugger that shows just how fiddly the internals were and will probably give nightmares to any mechanic who’s never encountered Deltas. The lower the rider, the better a bike corners. That was the idea behind these novel pedals which dispensed with a conventional axle so the foot — and therefore the rider — could be moved a couple of centimetres down. Instead of bearings at each end of the axle, Shimano moved them into an over-sized pedal thread, an inch in diameter rather than the standard 9/16in. That meant you needed a crank with a larger pedal eye, and Shimano made those too. Unfortunately the design put unusual loads on the bearings which reportedly didn’t last long as a result. The pedals were of course incompatible with any other cranks and at the time Shimano wasn’t big enough to have a new standard adopted by the rest of the industry. Even now it’s hard to imagine even Shimano forcing through a change to the pedal mount — it’s the last true standard in bike parts. Campagnolo's Power Torque cranks maintain the style of the brand's more expensive units, but there's no built-in way to remove them. With over-sized axles and outboard bearings, modern chainsets are lighter and stiffer than old-style set-ups where the cranks bolted to a square-taper axle. As Shimano and others switched to two-part cranks, Campagnolo stuck with square taper for its cheaper models, while attaching a half-axle to each crank in its high-end Ultra-Torque system. In 2011 Campagnolo introduced Power Torque. Like other two-part crank systems it has the axle permanently attached to one crank while the other is mounted on splines and held in place with a bolt (which requires a hulking great 14mm hex key; not hard to find, but not likely to be part of any mechanic’s existing tool kit). However, unlike the pinch bolts on Shimano’s two-piece cranks, or the self-extracting crank bolts on other designs, there’s no built-in way to get a Power Torque crank off the axle once it’s tight. This, mechanics howled when they first had to take off a Power Torque crank, is bonkers. Then they nipped down their nearest tool shop for a mechanical puller so they could yank the crank off the axle and found that had to be carefully ground to fit behind the crank. Five years later Campagnolo’s technical manual for Power Torque cranks still doesn’t offer any hint as to how you’re supposed to remove a Power Torque crank. Tool makers like Park Tool and Cyclus have stepped up and made pullers to remove Power Torque cranks but it’s mystifying that Campagnolo itself hasn’t come up with a beautiful but insanely expensive tool for the job. After all, they do make a £155 chain tool and a £130 corkscrew. The assumption was about the orientation of the long axis of the ellipse, which Shimano decided should be at roughly 90 degrees to the orientation of every elliptical chainring before or since. This meant the gear effectively dropped through the power stroke, which felt weird but you got used to it. However, there were reports that for some riders it caused knee problems and at a time when Shimano’s target users, mountain bikers, were looking for ever-lower gears Biopace’s limitation of a 28-tooth inner ring was a serious flaw. There was never any evidence that Biopace was more or less physiologically efficient than round rings. In the early ’90s Shimano quietly dropped it. The company had moved its attention to better gear shifting and had come up with chainrings that incorporated shaped teeth and ramps like its Hyperglide rear sprockets. These didn’t work with Biopace, which gave Shimano a face-saving way to drop it, though by this point enthusiast riders had switched back to round rings anyway. If you look closely at Campagnolo's titanium Super Record axle you can see the steel bearing surfaces are pressed into place. Amazing attention to detail but sadly not durable enough. Replacing steel with titanium has long been popular way for bike component makers to save weight. There are plenty of sub-components where this works really well: cable clamp bolts, adjusting screws, even rear derailleur mounting bolts are loaded lightly enough that it doesn’t matter that the titanium part isn’t as strong as the steel part it replaces. You’re probably thinking “Hang on, titanium has a better strength-to-weight ratio than steel.” That’s broadly true, but titanium is less dense than steel, so to get an equally strong part you need more of it. If a component can’t be made bigger, the titanium version will be weaker or less durable. That was the problem with the Super Record titanium bottom bracket that Campagnolo introduced in the late ’70s. When it failed, it failed at the square taper, leaving a bit in the crank and bit sticking out of the bottom bracket bearings. In the 1982 Giro d'Italia, race leader Laurent Fignon had a bad crash thanks to a broken Super Record axle, sending Campagnolo back to the drawing board. Version two solved the problem by holding the crank arm in place with a nut instead of a bolt so there was no thread inside the axle to provide a weakening stress riser. Bad ideas never die for long in cycling. The drive to lighten mountain bikes in the early ’90s led to some very dodgy substitutions of titanium and even aluminium for steel. The bottom bracket was a target, being a big lump of steel, and failure-prone titanium axles again put riders on the deck. One solution proposed by Keith Bontrager was to use a 7mm bolt to hold the crank in place instead of 8mm. That meant the axle would be thicker and more durable. This was available as the Axiom titanium bottom bracket in about 1996. The whole issue was made moot by the development of splined, hollow bottom bracket axles and then two-piece cranks with even larger axles. Shimano's SPD-R pedals had a low axle-to-sole height, but the design's problems doomed it. While Look was creating and then dominating the road bike clipless pedal category, Shimano saw an opportunity in the booming mountain bike arena. Instead of a big plastic cleat that stood proud of the sole, Shimano tucked a small steel cleat into a recess in the sole so you could walk in the shoes. It was a runaway success first among mountain bikers and then touring and commuting riders who liked the security of being clipped in, but wanted to be able to walk when off the bike. Shimano made several attempts to crack the road bike clipless market with designs that included a single-sided pedal that used the same two-bolt cleat design as the mountain bike pedals. The tiny cleat didn’t work for road cyclists who complained it allowed the shoe to rock on the pedal; there were even reports of very powerful riders managing to twist the cleat out of the sole. Shimano’s next attempt was even worse. The SPD-R pedal had two bolts on the centre line of the sole, so it required shoemakers to retool to accommodate it. Aside from Shimano few did so your shoe options were severely limited. It was hard to get out of SPD-R pedals, making them the Hotel California of clipless pedals: you could clip in, but you could never leave. The cleat was still relatively small compared to a Look cleat so your shoe was still not as stable on the pedal. To be fair, one group of riders loved SPD-R: track racers. The difficulty of exit appealed to riders for whom an accidental pedal release was a disaster and over a decade after they were discontinued, they’re still a cult item among trackies. Shimano eventually gave trying to go its own way and produced the SPD-SL in 2002. It fit the same three-bolt mounting as Look and allegedly finally weaned Lance Armstrong off the long-discontinued late 80s Shimano/Look pedals he’d been using for 15 years. In the 80s and 90s every component maker had a go at coming up with its own clipless pedal design. Some were more successful than others, and Campagnolo’s 1987 SGR pedals were definitely one of the others. The cleats slid into enclosures on the pedal. If the cleats or the this enclosure were dirty, you couldn’t engage the pedal. If you walked in the cleats, they developed a burr and you couldn’t engage the pedal. To clip in, the pedal had to be orientated with the enclosures up. It didn’t naturally hang that way and the toe-catch-flip action used with Look pedals didn’t work, so Campagnolo built in a ratchet that stopped the pedal rotating till you were clipped in. When this ratchet wore out, clipping in became tricky, to say the least. You could adjust cleat angle and float with screws in the pedal. However, if you didn’t snug these screws into place they fell out. Like Delta brakes, SGR pedals were a product of a ‘never mind the weight look at the shiny’ design regime at Campagnolo that culminated in 1989’s boat-anchor Euclid mountain bike components. By the mid-90s Campagnolo had remembered cyclists didn’t want to lug round unnecessary mass and dusted off the scales, but in the meantime the SGRs were about the heaviest clipless pedals ever made, and had so much steel in the internal mechanisms there was no way to lighten them. Campagnolo subsequently sold a rebranded Look pedal, and then developed the Pro-Fit pedal which can still be found in some retailers though Campagnolo no longer seems to list it. The tiny auxiliary lever on the inside of the Sora lever body could only be reached from the hoods. One of the most significant advances in the bike’s user interface in the last few decades was Shimano’s STI combined brake and gear lever design. With STI you never need to take your hands off the bars to change gears. In fact, it’s hard to imagine the road bike boom of the last decade or so without STI. Can you imagine the carnage in sportives as hundreds of us malco MAMILs fumble for down tube shifters? But the mechanism of the classic STI design, with a pivoting brake lever and a second lever right behind it, is expensive to make. To make a cheaper version for the entry-level Sora group, Shimano moved one of the levers to the body and made it so small it was more like a button than a lever. The problem was, the buttons could only be reached from the lever hoods. If you were in the drops going downhill, you couldn’t shift up the rear gears, which was a bit of a pain. To its credit, Shimano has now entirely dropped shift buttons from its road component range; even the eight-speed Claris group has proper STI levers with full-size levers for both shift directions. With one lever for both braking and shifting, Shimano Dual Control mountain bike levers were a bit confusing for many riders. Here’s an added extra for the mountain bikers among you. After great success with STI Dual Control road bike levers, Shimano tried to take the concept off road in 2003 and 2004 with these levers in which the brake lever did everything. Pull it toward you to brake, push it down or up to change gear. Mountain bikers were sceptical about the idea until they tried it; then they usually became downright hostile. The practical problem was that it was hard to shift and brake at the same time because if you were pulling a lever toward yourself it was almost impossible to move it up or down. One quirk of mountain bike Dual Control that impeded acceptance was that the rear derailleur worked the wrong way. Pulling the cable moved it from larger to smaller sprockets, while the spring did the work to go to larger sprockets, feature Shimano called Rapid-Rise or ‘low normal’. I wasn’t the only one, but a bigger problem for Shimano was that the company’s near-monopoly on mountain bike components was breaking down, and locking together the shifting and braking systems with Dual Control looked like a desperate rearguard action to preserve it. Bike makers wanted to fit brakes from other companies alongside Shimano transmissions. Dual Control made that impossible. Shimano quickly retreated, offering separate shifters again so bike makers could cook up their own choices of brake and gear systems. Deltas are tricky to set up if you don't know what you are doing but I've never found the braking to be any worse than other models of the same era. The trick is to leave more clearance from the rim than usual. sure they weigh more, but LOOK AT THEM. C record is still the best look groupset of all time and the stuff lasts. Campag's pedals however, were pure lunacy. but they do make a lovely paper weight. Very interesting article - well worth a read. I've never seen a Delta but the cable 'issue' doesn't sound any different to tririg omegas and the interweb isn't full of complaints about that. Too long and the cable end rubs the tyre, too short and you can't get the clamp onto it. Deltas look fab. Having tried to remove my Campagnolo Centaur Carbon Chainset at the weekend I can confirm what a sh!t design power torque is. Im using the official park tool which has already snapped once when removing my older now sold veloce groupset. On this effort it chipped my carbon crank!!!! hence it is staying on and will be someone elses problem when the bike is sold at some point. Paul Calf , Bag Of Shite springs to mind. Still love campy........Chorus groupo knocks spots off ultegra on my cross bike. Campy actually did some serous inovation in 1986-1988. Among the derailures the C180 was the only one without inovation. The Chorus was pretty special and advanced with both double springs (simplex) and a slant pralelogram (suntour) and a strikng visual appreance. The Athena derailure looked simple and was disguised as a C180 and the well known old gransport design actually had a consealed slant paralelogram with a quite long praalellogram (The suntour patent had just expired). Shifting the athena on a modern 10-11 cassette actually reveals that this design was 30 years ahead of its time and it works surprisingly consistent, ultrafast and reliable, even with non indexed shifters (i use classic Simplex retro-frictions though). It's basicly the same design as used today on Shimano's Shadow and SRAM's type 1.x MTB deraillures. Capacity is impressive too - the ultra short 50mm cage can shift a 12-30t casette with a double compact in the front. Among the brakes the Chorus monplaners (with one caliper arm consealed in the other) are IMHO the most beutifull brake ever produced - The Athena 's were re-egineerd traditional sidepulswith massive super stiff calipers - stiffness (here provided by mass) really matters when it comes to braking. Im not sure if the stiffness was intentional by design or it was because they wanted to mimick the visual appearence of the Chorus monoplaners / aro-theme while keeping the cost down, but the Athena Calipers are proberbly the best braking sidepull rim brake ever produced. They are heavy though, similar in weight to Deltas but they work every time, modulation is excelent (even by 2016 standards they rival the best dulapivots out there) and due to the stiffness they really do keep provideing all power you can apply through the cable (and i mean all), and in an impressive consitant way - only downside is that with 198'x brakelevers and cables you'd have to use a lot of fingermuscle to utilize that kind of power. Campagnolo Syncro - i think thats someting everyone should forget though, the doubler-shifter was the way to go but it was never as nice as the 197x Simplex' retro-shifters. My Centaur BB has been in place for almost four years and, fingers crossed, it has required precisely no maintenance. But I have been planning for the day when the thing has to be removed and I bought a £4:99 puller from our local car accessory shop. A little careful slimming of the three 'feet' with a grinder and it seems to be a snug fit. All I need now is an excuse to use it. I lusted after those Campag Deltas. Sadly Campags weird accessories and non standard tools put me off buying the groupset and I've gone away from the brand - but man they look lovely. My candidate: Shimano STI shifters. Expensive consumables that you need to bin because a small single part snapped/wore out and you can't replace it. I've got the dual control mtb levers. Really not that bad. Seems the new Potenza groupset finally has a self-extracting bolt to solve the PowerTorque problem... hope it is extended to the other low end groups. PT has such a reputation I searched for ages for an older UltraTorque Athena 11 speed crank - 2009-10 only - to go with the rest of the 11 speed Athena group. I have 2007-vintage Campag Centaur Ergo levers and the thumbie is fine for me, even with my small hands - probably got relatively shallow drops, perhaps. It is pleasing to see, however, that Campag have re-engineered it with the advent of the electronic changers. As for the Sora levers - ugh - I purchased these for my winter bike and was blissfully unaware that they are clearly designed, as suggested already, by some sort of alien. I simply cannot change from the drops at all. They will probably find there way onto a Bonfire Night pyre at some stage. John, you're trying hard to make the jump from MTB-er to roadie, but you lack basic knowledge. The design of the Dura Ace AX pedals has nothing at all to do with wanting to lower centre of gravity. The whole gruppo was designed for aerodynamics - hence the aero seatpin, concealed bolt stem and of course the AX parapull brakes. Having a single large inboard bearing on the pedal not only reduced frontal area but also reduced to zero the axle to sole measurement, eliminating rocking torque, a goal many pedals have attempted since, and which you actually mention as the advantage of the SPD-R. With the AX pedal the sole of the shoe is actually on the centre of rotation. Talking of pedal standards, in 1981 when the AX group came out lots of bikes were French, who of course had their own pedal thread standard. There was no standard then. Re Campag SGR pedals - ask John Tanner about his during the 1989 Ras Tailtean. He was yellow jersey when his SGRs decided to stop rotating. I lost track of how many bike changes he had that day. I have the Sora-style thumb shifters on my road bike and I love them. 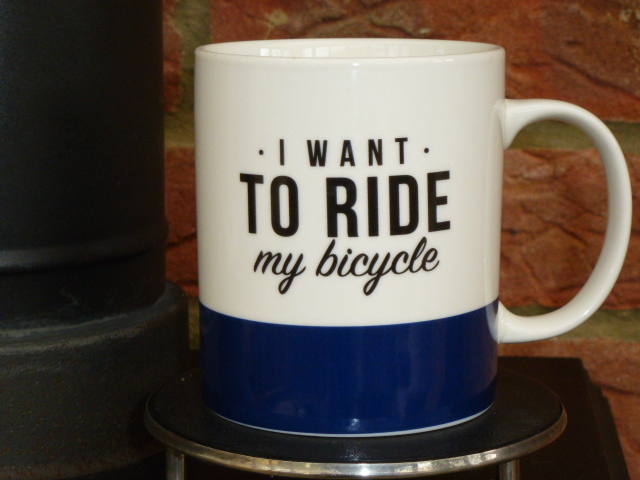 Especially for touring-style rides and commuting. I don't spend a lot of time on the drops during those rides so I don't miss being able to shift from there. And the thumb switches are easily accessible and work well with big gloves on in winter. They only have a place on this list if you are being a snob about your shifting options. Power Torque is bonkers. But Ultra Torque... wonderful! PT is indeed complete cack. Not looking forward to having to replace the bearings on mine. I'd never use Power Torque again after having to write off a Centaur Red crankset last year by literally beating the f*cker out of the frame with a hammer after shearing the ends off of the Park Tools puller. If you only ever ride in the dry then it's no problem, you can even just tap the crank out with a rubber mallet in that case but once a bit of moisture gets in there - no chance! agreed. Sora-style STI shifters are the best for cold weather winter commuting, much easier to use than the newer style paddle shifters with bulky glives on. They have their place. I agree with an earlier poster that the bearings in a UT chainset aren't great, but they're not expensive to replace and at least you can get at the bloody things. Campag Delta's......... Sexier than that Scully from X-Files and she was fit! Anyone else had the annoyance of grinding down a 4mm Allen key? SPD-R pedals: Had a pair of Dura-Ace ones, bought after Shimano stopped paying for the Look patent. used them once and gave them away, along with the carbon Dura-Ace level shoes I had to buy . Biopace: Well it worked (sort of), if you moved the chainring one bolt forward on the chainset. Early STI's: Cheers Shimano for having to throw away a pair of Dura-Ace 9-speed ones as Madison didn't bring in the tiny part that broke. Still have a pair from 1993 that work. No mention of Shimano 10-speed STI's where the gear cable goes under the bartape. This was rushed into production due to Campag and never really worked well unless you were prepared to run the gear outers 'behind' the bar and cross them on the down-tube stops. Bugger, giving away trade secrets. Suprised the Shimano RSX groupset isn't mentioned along with the MJ groupset. RSX featured a 'compact' chainset (which flopped) and the MJ groupset was intended for kids bikes. It was way ahead of it's time. MTB STI levers went down well in Europe where cross-country racing is massive. The 'rapid-rise' rear mech was OK until the spring weakened. It was a total pain to set gears up if you were not used to it. Positron not mentioned, it actually worked pretty well for a cheap version of indexing. Finding a place that sold piano wire was interesting. Campag TI B/B: OK a pile of crap, but not as bad as the creaky Hope one of old that was impossible to silence. Actually, on the subject of Campag brakes: Could anyone actually brake from the hoods on '80's brake lever unless they had the hands and finger muscles of Geoff Capes? Campag did have a go at BMX as well as MTB stuff. Shame they stopped making rims as I have got a few pairs of wheels built with Lamda and Omega rims. iv got the Sora shifters, one each side of my drop handlebars theyre pretty good. Nice article, especially the Hotel Califoria reference! I have bikes with both Biospace and Sora trigger shifters and they are not too bad. Also once it becomes 'retro' you can get away with all kinds of crap. It becomes 'character'! Great article. Did anyone ever use the Suntour self energising canti brakes on their early 90s MTB? Brake included a helix within it so once pad made contact it pulled it in tighter. I always suspected they'd be a bit grabby! Mate at uni achieved a similar effect with some 'tandem' brake pads someone sold him. They included a wedge so the pad moved with rotation of wheel and pulled in tighter - he took them off after he ended up in Leicester Hospital. I'll admit I didn't read all of the comments but one the article misses which was a much bigger mistake for Shimano than Sora and it's poor thumb levers.